SCS Global Services. As a Lead Safe Paint® Certification Body, SCS Global Services (www.SCSglobalServices.com) manages all aspects of the certification process. It arranges laboratory testing, evaluates results and administers the certification processes. It also makes decisions with regard to granting, maintaining, extending, suspending and withdrawing certification, and it performs re-evaluation and monitoring as needed. To learn more about SCS Global Services lead paint certification program, please click here. IPEN. As the Lead Safe Paint® Scheme Owner, IPEN (ipen.org) owns the Lead Safe Paint® Standard and its certification mark, and licenses its use to companies once they are certified. It ensures that the mark is used properly and appears only on brands that have been certified. IPEN is a global NGO with more than 500 participating organizations in more than 100 countries working for a toxics free future. It has conducted lead paint testing and analysis in more than 40 countries and is a member of the Global Alliance to Eliminate Lead Paint Advisory Group. Learn more about IPEN and its Global Lead Paint Elimination Campaign here. 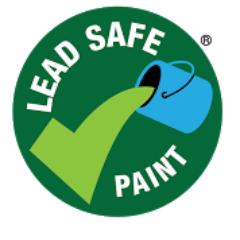 Please see media coverage and contact information for Lead Safe Paint® here.